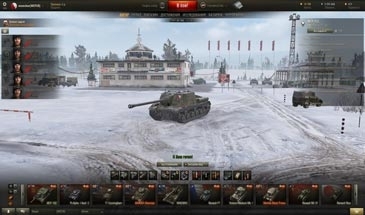 We present for you winter hangar February 23 for the World of Tanks 0.9.17.1, the developers who gave us this year. It looks very atmospheric, a training ground snowbound with a lot of armored vehicles. Thank goofy67 for his adaptation to the new 0.9.17.1 update. After all, as you have already noticed, after the release of this update, the lighting in all the hangars was wrong and they stop working. So who was waiting for this hangar, enjoy its beauty. Copy the folders of audio WOT / res / in the WOT / res_mods / 0.9.17.1 /. Copy the entire contents of the archive in the WOT / res_mods / 0.9.17.1 /, confirming a replacement.